"Myths, gods and heroes from the Viking world", promises the subtitle to the new Penguin edition of The Elder Edda, and from the moment I discovered it in the library a few months ago I've been waiting for a good opportunity to tuck in. My acquaintance with Icelandic literature has been fairly limited - I've read Njal's Saga, The Saga of the Volsungs, and of course Tolkien's The Legend of Sigurd and Gudrun which doesn't really count, but I knew to expect gore, fatalism, and some of the sparest, barest, most economical writing I've ever come across. The Elder Edda comes in two parts. The first section contains mythological poems dealing with the gods, goddesses and fates of Norse myth, while the second is a cycle of poems revolving around Sigurd the Dragonslayer and his ill-fated loves Brynhild and Gudrun. I was already familiar with the Sigurd cycle from The Saga of the Volsungs, and from Tolkien's Sigurd and Gudrun (with Christopher Tolkien's excellent commentary on the same). In the Edda, the story is told in a way that seems rather more fractured and fragmented. The poetry itself often elides events, lacunae plague the text, and the poems don't always follow a logical progression: they repeat and restate events, often with significant contradictions (is Brynhild the same figure as the valkyrie who teaches Sigurd runes? was Sigurd murdered at home or in the forest?). It's not surprising that most people would just read The Saga of the Volsungs instead, which tells the story in a much more straightforward fashion. But now that I've actually read the Edda, I think this is a crying shame. In poetic form, these stories gain far more power than they did in prose; they become a grand, operatic tale of fate, compulsion, obsession and loss. Part 1 of the Edda, the part that deals with myths of the gods, was the part that was mostly new to me. It was also the part I had the most mixed feelings about. My two favourite poems in the whole collection cropped up here. The Voluspa, the very first poem of all, is magnificent. It tells the legend of the creation of the world and then fast-forwards into a prophecy of Ragnarok, employing repeated lines and even stanzas to build up an incredible dramatic intensity - I would recommend trying to get a copy of this book just for the pleasure of reading this poem. And then there's the game of Spot the Inkling: Tolkien and Lewis both obviously loved this particular poem. Lewis lifted whole lines from it for his poem Cliche Came Out of Its Cage, and Tolkien got the names of Gandalf, Durin, Thorin Oakenshield and the other dwarves here. (Who knew that Bifur and Bofur translate as "Trembler" and "Grumbler", while "Bombur", of course, is "Tubby"? Seems like Disney wasn't so far out with the names of Snow White's dwarfs either). And I suspect that the image of the surviving gods after Ragnarok discovering their gold playing-pieces in the grass of the newly-remade world may have found its way into Prince Caspian. Another favourite poem from this section was The Song of Volund. You hear legends of lame blacksmith gods all over Europe of course - there's the English Weyland (obviously related) and even the Greek Hephaestos, but the Norse Volund is an elf prince seeking revenge after a brutal attack. His revenge, when he takes it, is more brutal than the original wrong, because this is a pagan story of grisly and pointless violence, but there's high drama here too and a certain kind of harsh beauty. if he is truly wise. whose spirit is freest from sorrow. The poems of the Elder Edda, a record of Icelandic paganism, were written down well after the conversion of Iceland to Christianity, evidently by Christian scribes. As usual, I'm left with little doubt in my mind that they did this to preserve in the remembrance of their people not just the cultural achievements of paganism, but also the cultural failings. Norse paganism was deeply characterised by suspicion, fatalism, and violence. We ought not to take our own culture for granted or pride ourselves on our superiority. There, but for the grace of God, go we. Find The Elder Edda on Amazon or The Book Depository. 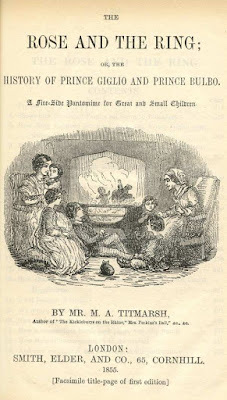 William Makepeace Thackeray is most famous for Vanity Fair, of course, but I actually have never read the book. After re-reading his hilarious children's story The Rose and the Ring last week, I'm thinking I probably should. 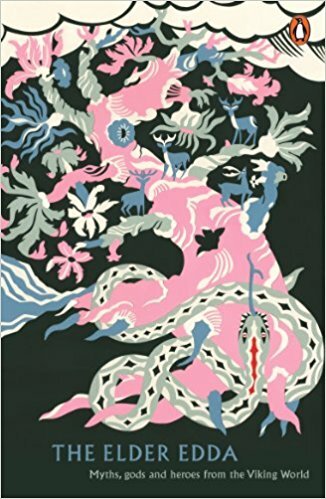 A satirical take on the traditional fairytale, The Rose and the Ring is the story of four princes and princesses, and the various adventures that befall them because of wicked uncles, conniving governesses, and the Fairy Blackstick whose magical gifts don't always provide what you expect. I loved this book as a teenager, I love it as an adult, and as I was re-reading it recently I was thinking I should really find out how it would go down with children. I think they'd love it, too. There are plenty of jokes, of course, which only adults are likely to understand, but I think most children would get a kick out of the bold Count Kutasoff Hedzoff or Lord Chamberlain Squaretoso, and even the very young are likely to appreciate the King of Paflagonia being crushed by a warming-pan ("Even Though You Wear a Crown / Burning Love Will Knock You Down" the mock-sententious page headings proclaim). The whole thing is illustrated rather quirkily by the author, and it's all charming. There seems to be a rather-tongue-in-cheek theme about keeping one's word at all expenses, although this threatens to send one of our heroes to the scaffold and marry another to the loathsome Gruffanuff regardless of other ethical considerations. Probably more meaningful is the contrast between those of our characters blessed by the Fairy Blackstick with "a little misfortune" as opposed to those blessed with unearned beauty and charm. Thackeray has a huge amount of fun spoofing fairytale conventions here, and while most people who set out to make fun of fairytales only wind up proving themselves crashing bores (and usually also boors), Thackeray clearly shows enough affection and respect for the story form to save him from either fate. The Rose and the Ring is a fantastic read no matter your age, and a comic classic. I thoroughly recommend it. Find The Rose and the Ring on Amazon, the Book Depository, Project Gutenberg or Librivox. Have you read Vanity Fair? Do you recommend it? I'm curious - let me know! I can't believe it--Vintage Novels has been around for nearly seven years, and I've never reviewed Carlo Collodi's Pinocchio. When Master Cherry, the carpenter, discovers an apparently sentient piece of wood, he's a little creeped out--so instead of cutting it into a table leg, he instead gives it to his friend Gepetto to make into a puppet. No sooner is the puppet carved than he turns out to be a naughty prankster with a very short attention span, a truly impressive level of gullibility, and a nose that grows longer when he lies. The well-meaning but airheaded Pinocchio quickly gets embroiled in a series of dangerous adventures, and his longsuffering friends--his father Gepetto, the blue-haired Fairy who takes him under her wing, and others--suffer as many dangers trying to find him again. It's Pinocchio's wish to one day become a real boy and to make Gepetto and the Fairy proud of him, instead of grieving them by his many foolish antics. But how can a naughty little puppet ever change? Like no doubt most of my readers, my first experience of this classic children's book was the classic Disney film. It was years ago and I don't remember it very well, but when I read the book as a teen I found it both far more moving and far funnier than I expected. Pinocchio is a hilarious book. The plot is episodic and rather chaotic, and none of it makes a lick of sense. Pinocchio is a wooden puppet who acts and is treated like a little boy, and nobody finds this strange. Other puppets are treated like puppets, but seem to interact with humans as if human. Pinocchio is a complete blockhead (conceptual pun probably intended by the original author) prone to the kind of silly actions that even children can appreciate as silly, and the adult characters are also pretty outrageous. Mixed in with the surrealistic silliness is a good streak of satire and even some rather black humour--characters are constantly in danger of being eaten, burned alive, hanged, and so on. I don't know how I would have handled it as a child (possibly just fine), but as a teen and later, an adult, I found it completely irresistible. But there was something more to the book as well, something that hit me unexpectedly hard when I read it as a teen. 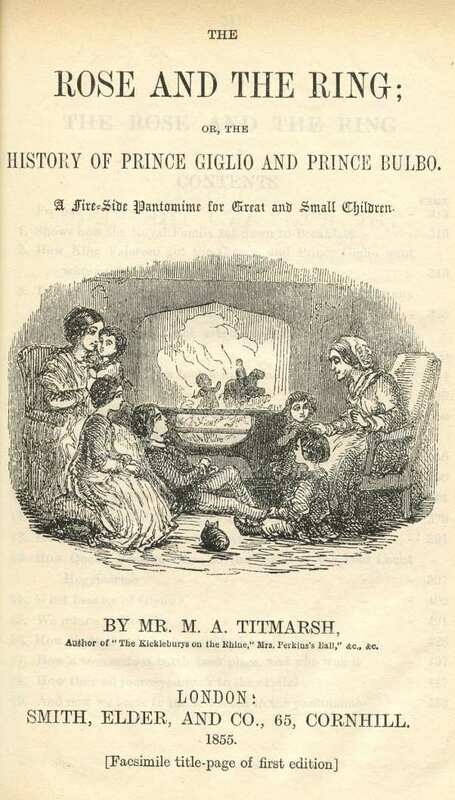 I suppose many readers today would find the story, like so much classic lit from the 1800s, fairly moralistic. Oh, and it is, and I'll get into why that's a bad thing in a moment. But as moralistic as the story is, it's also convicting. Pinocchio means well, in a ditzy sort of way, but he's enslaved by his impulses and has low sales resistance to any kind of temptation. This time, reading the book, I was struck by how vivid a depiction it is of Romans 7, in which Paul bewails how even the desire to do well and obey the law stirs him helplessly up to sin. Pinocchio's inability to resist temptation not only gets him into one peril after another, and but also causes untold danger and suffering to his parental figures, Gepetto and the Fairy, whom he honestly loves and longs to please. As the book continues, it becomes clear that the one desire of Pinocchio's heart, to become a real boy, will never become fulfilled until he has learned self-discipline. These religious aspects of the story are certainly intentional. Gepetto, Pinocchio's father figure, is also his Maker. And the insistent description of the saintly Fairy's blue hair seems, even to a Protestant growing up in a secular culture like me, a fairly overt reference to the blue scarf associated with the Virgin Mary in traditional religious iconography. But I was disappointed that in the end, Pinocchio wins his goal simply by learning to turn over a new leaf, empowered by his own innate goodness. "Well done, Pinocchio! To reward you for your good heart I will forgive you for all that is past. Boys who minister tenderly to their parents, and assist them in their misery and infirmities, are deserving of great praise and affection, even if they cannot be cited as examples of obedience and good behaviour. Try and do better in the future and you will be happy." My inner theology nerd wants to parse out the story in terms of justification and sanctification. After all, while we can't earn our justification, sanctification is something that we can desire and work towards; so if Pinocchio is said already to have "a good heart", then perhaps this is a better picture of sanctification than justification? And to be sure it's as a tale of sanctification that the story has the most power. But having re-read the story, I'm left with the niggling dissatisfaction that no matter how you categorise it, Pinocchio earns his happy ending, on his own merits. That is moralism, in the sense of putting one's faith in good works. Pinocchio is a messy but irresistible classic, full of things that you'll feel kind of terrible for laughing at. And while I didn't much care for the author's moralistic solution to his protagonist's predicament, I thought the depiction of impulsive sin and suffering was incredibly convicting, even as an adult. I don't know many stories that run the gamut of emotions this flamboyantly from sheer silliness to waterlogged remorse, but somehow, Carlo Collodi makes it work. 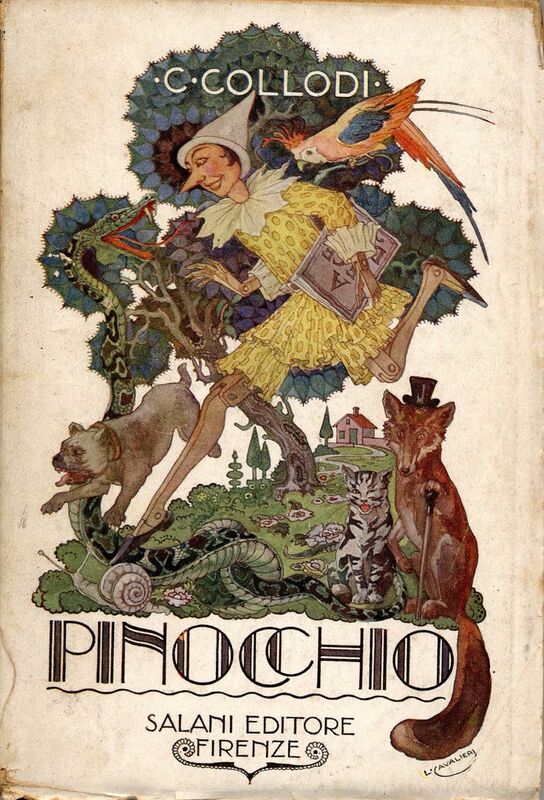 Find Pinocchio at Amazon, the Book Depository, Project Gutenberg, or Librivox. I'm still gleefully working my way through my stack of gorgeous new Ronald Welch hardbacks. To recap, Ronald Welch was a historian and schoolteacher who wrote this awesome series of adventure/military history stories for boys, following the adventures throughout English history of a fictional noble family. Long out of print, the books have recently been reissued in beautiful heirloom-quality hardbacks, and you can get them from Slightly Foxed. Nicholas Carey is the tenth book within the series's chronology. It's 1853, and Nicholas Carey, a younger son of a cadet branch of the noble Carey family, is lazing around Italy painting landscapes of dubious quality while enjoying leave from his regiment. Nicholas dislikes exertion or activity, but when his beloved firebrand of a cousin gets himself mixed up with Italian nationalists on the run from Austrian imperial forces, Nicholas joins the adventure to keep an eye on him. Europe is seething with anarchists, revolutionaries, and assassins--but it's on the battlefields of the Crimea that Nicholas will face the true test of his character. Like all Ronald Welch's books, this was an exciting adventure story with a satisfying coming-of-age theme. On top of this, Nicholas Carey comes with a truly impressive wealth of historical detail. Welch always seems at home in various historical periods, but I'd guess that he's most at home here. I did feel that the various parts of the plot had little to do with each other: the first two-thirds of the book focuses on revolutionary nationalism, while the final third deals with the Crimean War. I did, however, appreciate getting the context for the war: as we follow Nicholas on his various adventures across the map of Europe, we get a snapshot of much of the continent in the 1850s. And just as in Tank Commander, the depictions of the harshness of modern war were visceral, compelling, and never felt cheap. As for the characters, Nicholas Carey was an enjoyably different hero. Nicholas is competent and well-meaning; he's just disinclined to exert himself. His elders shake their heads over his laziness, but the fact is that the other young men of his generation are not much more mature. Cousin Bernard, heir to the earldom, is a cavalry dandy with an outrageously affected accent, and cousin Andrew, who is constantly seeking out adventures and dragging Nicholas into them, does so because he's immature and a terrible judge of character. When the Crimean War begins, great numbers of fashionable young officers sell out their commissions so as to avoid the war. Throughout the course of this story, I enjoyed watching Nicholas mature into someone who, by contrast, is willing to put personal comfort and desires aside for the good of others. A time that produced spoiled and selfish young men: it's an interesting perspective on the Victorian era, and I wonder if Ronald Welch intended to suggest that the hardships of war were necessary to restore a sense of masculine responsibility and self-sacrifice in the young men. It's interesting, however, that the Earl of Aubigny in this book, the most authoritative and exemplary character, is an explorer and philanthropist who left his army career early in order to live a productive peacetime life. Though not a soldier, the Earl sets a standard of peaceable manhood. Nicholas Carey is another exciting historical adventure story for young people, providing a colourful and sometime grittily realistic picture of the nationalist upheavals and wartime hardships of the mid-nineteenth century. As usual, I thoroughly enjoyed it. For a limited time, Nicholas Carey and the rest of the Carey Family Series is available from Slightly Foxed. Highly recommended to fans of GA Henty - get a copy while you still can!